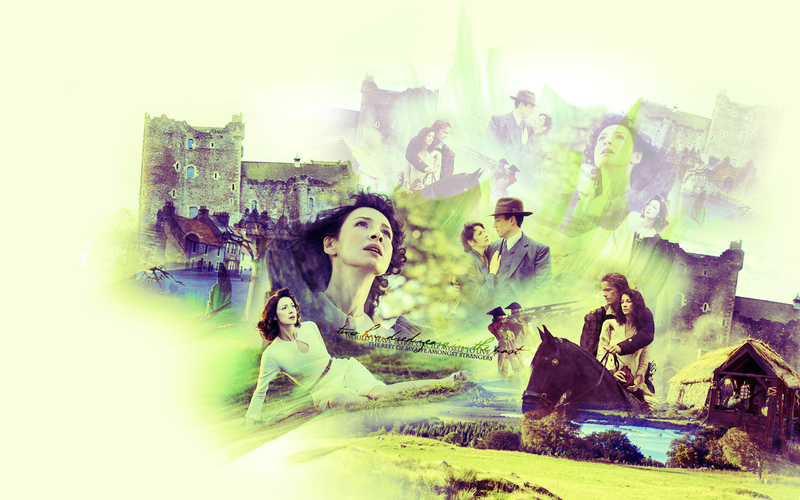 Sassenach. . HD Wallpaper and background images in the outlander serie de televisión 2014 club tagged: outlander season 1 sam heughan jamie fraser caitriona balfe claire randall jamie and claire frank randall. This outlander serie de televisión 2014 wallpaper contains animado, cómic, manga, historieta, anime, and dibujos animados.